The AGM will talk about our plans for the next year, elect officers and delegates to the LCF, CLPs and Kent Party Council, and reflect on activities in 2018. Jane Cameron who is Development Officer for the South East at Party HQ, will be talking about the up coming work of the Party. If you cannot attend, but wish to ask a question, make a nomination or volunteer to help the branch in a role or with particular expertise, please let the officers know or email j.cameron@party.coop. Alternatively the meeting will take nominations on the night. 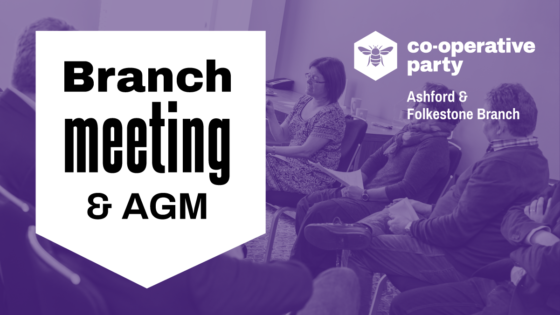 Only members will be able to vote in the AGM section of the meeting and to stand for office or as a representative, you must have been a Co-operative Party member for 6 months or more.